For once I am so organised. Christmas presents for the family were all bought in November and my seed order from Thompson & Morgan has just arrived. I really enjoy growing plants from seed. Each year I order them from the T&M and Suttons catalogues, buy a few locally and collect seeds from gardens and parks as I travel about. This season’s purchases, as always, include many novelties and new varieties, together with old favourites I have had success with in the past and could not resist. I am growing many more vegetables next year and that seems to be a general tendency. In our case, we grow them in spare corners in the front and back gardens, but also mixed in with flowers in the borders. I shall be constructing a new fruit and vegetable garden behind the Garden Design Academy classroom, just a small one, and have bought four beautiful raised bed kits in Loire Valley oak from a local sawmill for the purpose. This will be my Big Winter Job. We always grow Cherry Tomatoes in the garden and in addition to the unfailingly good Sungold I am trying a new variety called Santonio, with plum-shaped fruits. Last year was not good for outdoor Tom’s, but our plantation of Sun Cherry Premium was a great success. We grow a few Courgettes each year, you don’t need many, usually as a mixture to add interest on the plate This year I am trying BBQ mix; last year we had a good crop from another F1 variety early in the season, but Mildew eventually got to the plants and they had to go. Sweet corn has not been a success here so far despite being a region where maize is grown commercially. I am hoping the new raised beds will provide better growing conditions provided I am more attentive to their need for water. I like the sweet varieties and have selected Lark F1 this time. Lettuces are traditionally grown amongst the flowers and seem to prefer the lighter soil in the back garden. Coloured foliage is always welcome and I have ordered traditional Lollo Rossa in addition to a Romaine type called Chartwell. Growing perennials from seed is something we do each year as it’s a wonderful way to fill up a new garden. This is now extending into the vegetable garden with the purchase of a packet of Artichoke Green Globe Improved. I love fresh artichokes and I am determined to have a large clump despite them dying whenever I buy plants from the garden centre. Beans are not something I do well but I persevere! For the first time since we moved to France we will be trying Broad Beans and have selected an RHS award-winning dwarf variety called Robin Hood. My wife loves to eat them raw. Climbing beans are my ‘bête noire’, always running out of steam before I have harvested more than a handful. 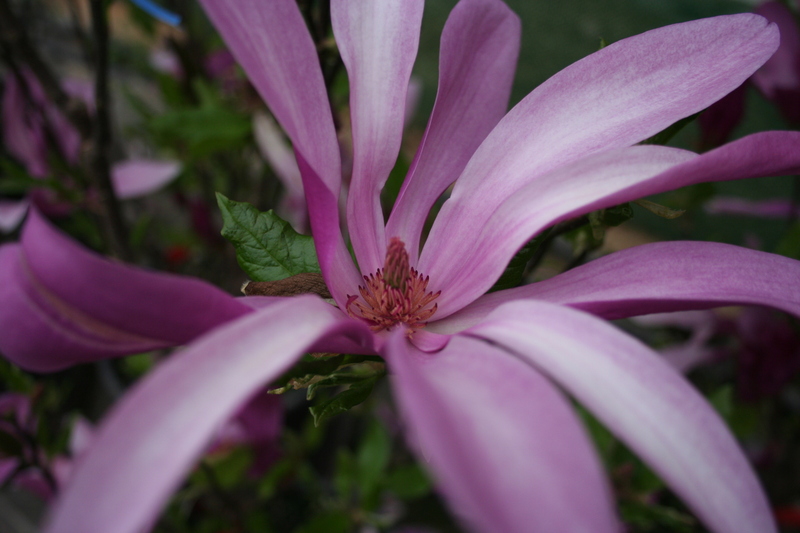 I have been growing them on a pergola where a neighbour’s tree, now removed, competes heavily for nutrients and water. Monte Cristo is going to change all that, I hope. Finally, for a bit of fun, I am intending to grow Swiss Chard White Silver 3, of which I know very little but it was recommended in the T&M catalogue by Alan Titchmarch, no less. In addition I am trying Golden Berries (variety Little Lanterns), delicious and very trendy fruits which I last grew in a greenhouse with great success some 25 years ago. Wish me luck! The clear, sunny mornings now have a distinct chill to them and while mid-day temperatures are well into the high 20’s, you cannot help but be aware, with a tinge of sadness perhaps, that summer is slowly drifting to an end and autumn is on its way. 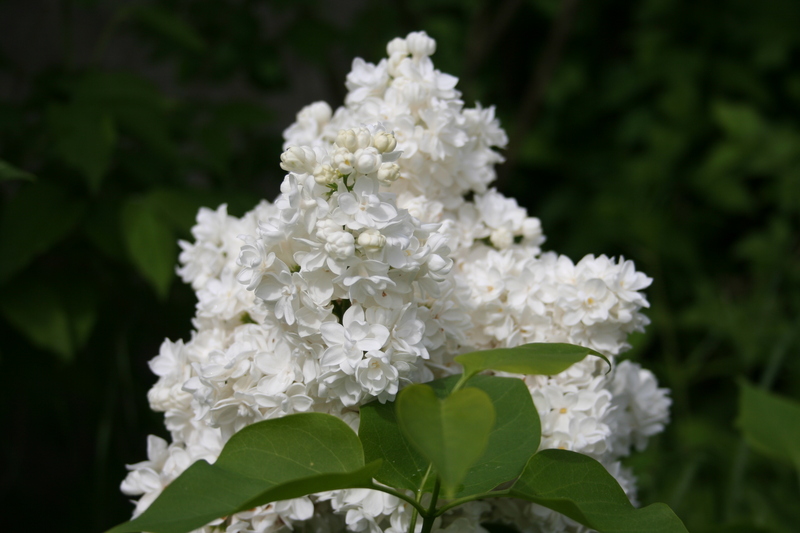 On the other hand the changing temperatures, dewy mornings and the shortening days are signals to a range of plants that it is time to get into flower. 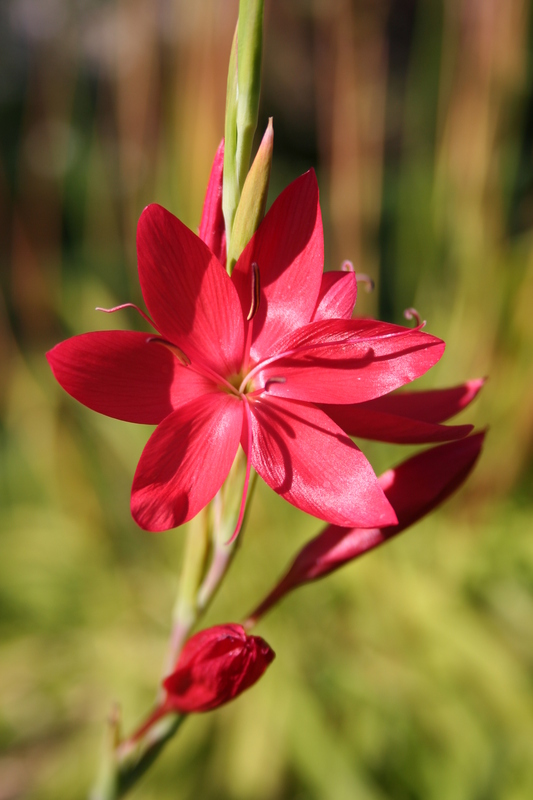 A selection of South African bulbs are doing well at the moment: white Nerines we grow in a pot in the white border, Crocosmia varieties in odd corners all around the garden, a big patch of Schizostylus, now Hesperantha coccinea ‘Major’ which has been slow to establish but is now producing flowers in good quantities. 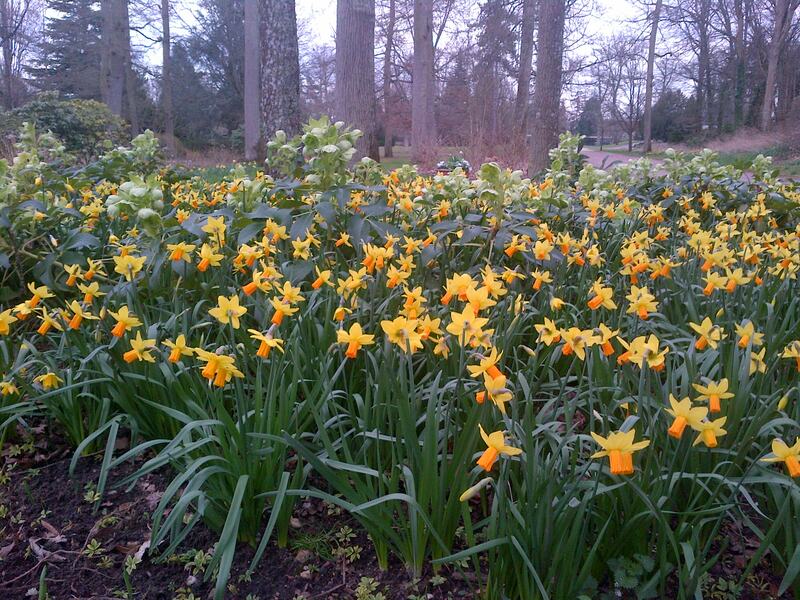 They seem to have enjoyed the extra moisture provided by this year’s spring weather, as so many Cape bulbs do. In my day, these were called Kaffir Lilies, but I expect this is politically incorrect now! One of the joys of this morning’s tour of the garden was the discovery of another South African native: Gladiolus papilio flowering amongst a recently planted Euphorbia. I had forgotten it was there but love the effect of the subtle, drooping spikes of flowers in muted shades above the bright, stripped foliage of E. Ascot Rainbow. 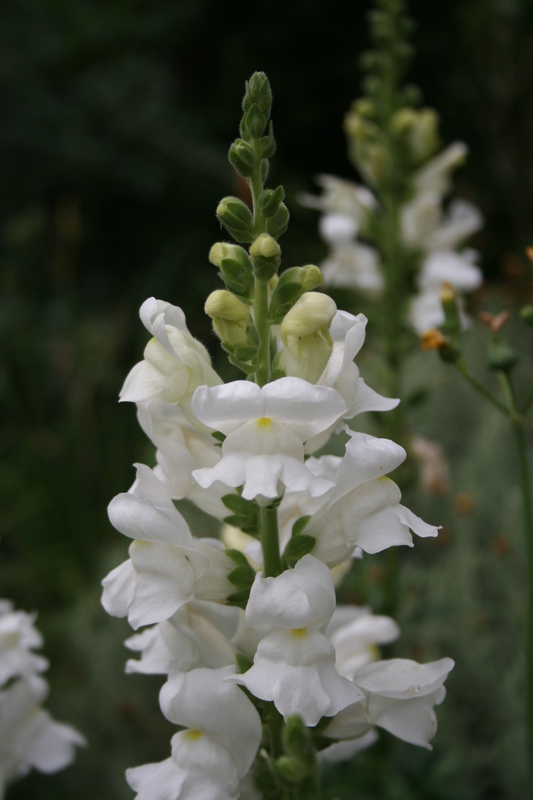 The slender buds and backs of petals are bruise-shades of green, cream and slate-purple. Inside, creamy hearts shelter blue anthers while the lower lip petal is feathered and marked with an ‘eye’ in purple and greenish-yellow, like the wing of a butterfly. There is so much to enjoy in the garden at the moment and, dare I say it, I have more or less caught up with the weeding, so I have a little more time to appreciate it before the next group of garden design students come for a tour of Loire Valley gardens with me. Prieuré D’Orsan, which kindly opened its doors for us. Readers of the Garden Design Academy blog will have read that in a previous life I worked as a Royal Gardener at Windsor Palace. For the last two weeks however, I have been teaching and touring with an active Royal Gardener: the Director of the Royal Gardens of Oman. 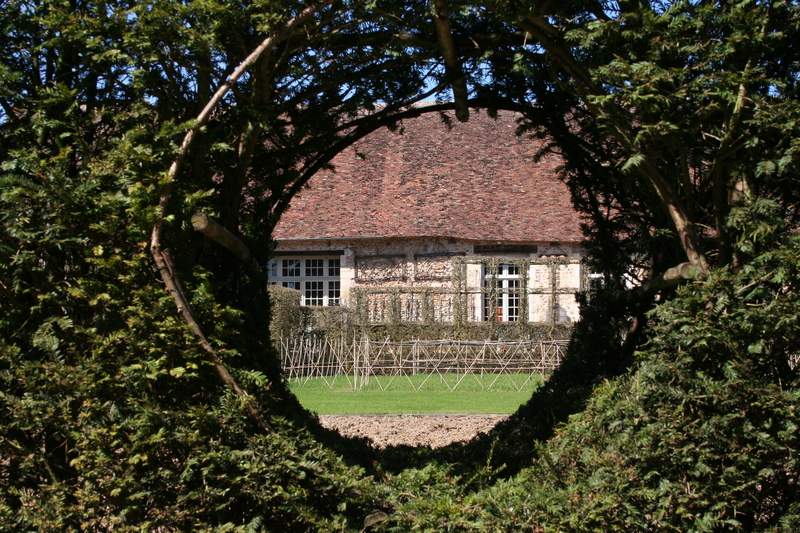 Staying at the Academy for a residential course on garden design and CAD, he spent time with us both in the classroom and outside in the French countryside, studying the widest possible assortment of garden styles in the Loire Valley. The list of gardens we viewed this trip covered five out of the six departments (counties) of the Central region of France: Apremont and the Priory of Orsan in the Cher, Bouges in our home department of the Indre. To our north in the Indre-et-Loire we visited Chenonceau, Chatonnière and Villandry then Chaumont-sur-Loire, Cheverny and Plessis Sasnières in the Loire-et-Cher. 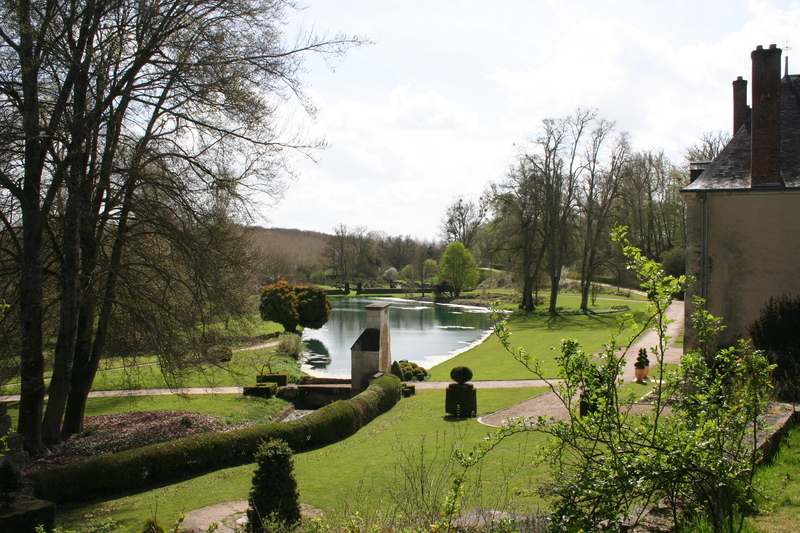 Finally we travelled up to the Loiret to the gardens of Grandes Bruyères and La Source at Orléans. 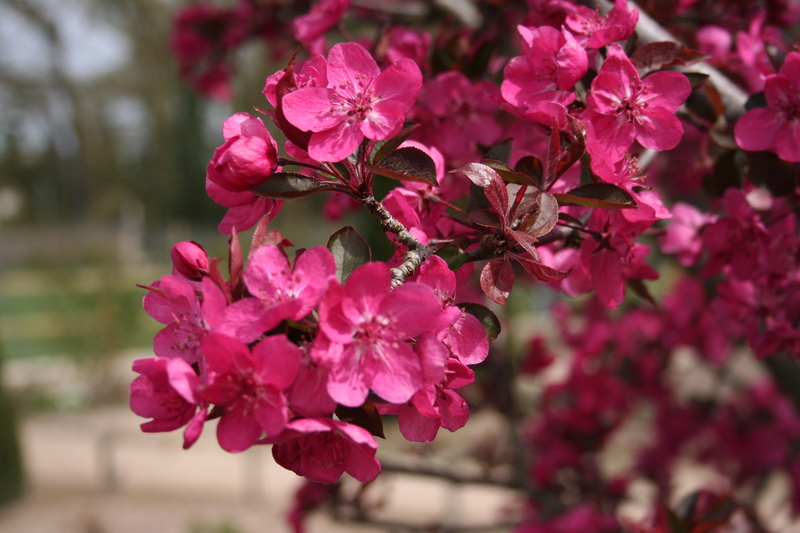 Several gardens that opened their doors to us were closed to the public and despite a very late session we were exposed to wonderful displays of Magnolias, Cherries and other flowering plants. The variety of plants grown and the extraordinary skill of the garden creators were inspiring and we did not miss the opportunity to talk with garden owners and their staff whenever possible. We discussed and debated the designs we saw, considered imperfections and design solutions, looking at depth at the thinking behind the landscapes we walked through. Of the eleven gardens we visited this trip, three were new to me and all proudly declaring their English inspiration recommended to us by the association of parks and gardens for the region. The chocolate-box village of Apremont is officially one of the prettiest in France and reminds me of some I have seen in the English Cotswolds. The gardens in the grounds of the chateau of the Duchess of Brissac, was the work of Gilles de Brissac in the 1970’s and is very much in the English style. 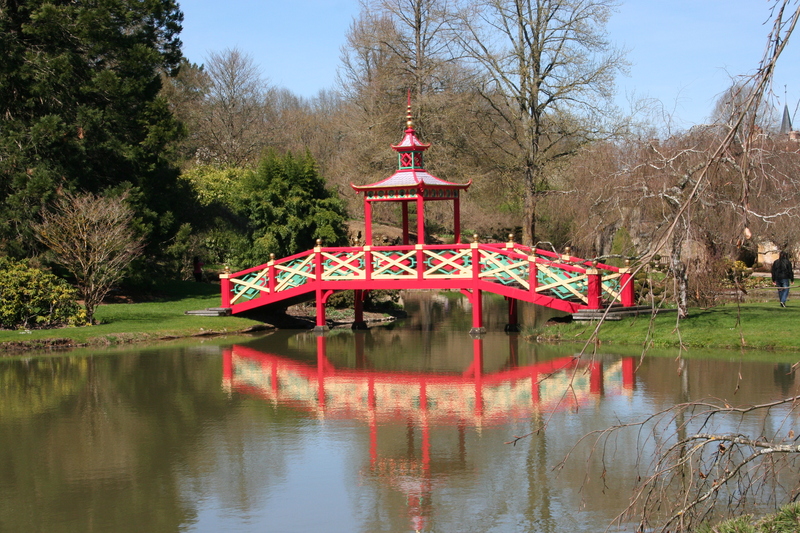 A series of follies animate the scene – a Chinese bridge, a belvedere, a Turkish pavilion – in a garden inspired by Sheffield Park, Biddulph Grange, Sissinghurst and the English cottage garden. Attractive planting complements impressive landscape features resulting in a very pleasing scene. We were fortunate with the weather, which was bright and warm. The gardens of Grandes Bruyères host an important collection of Magnolias which were just starting to flower amongst the last blooms of the winter flowering heathers. 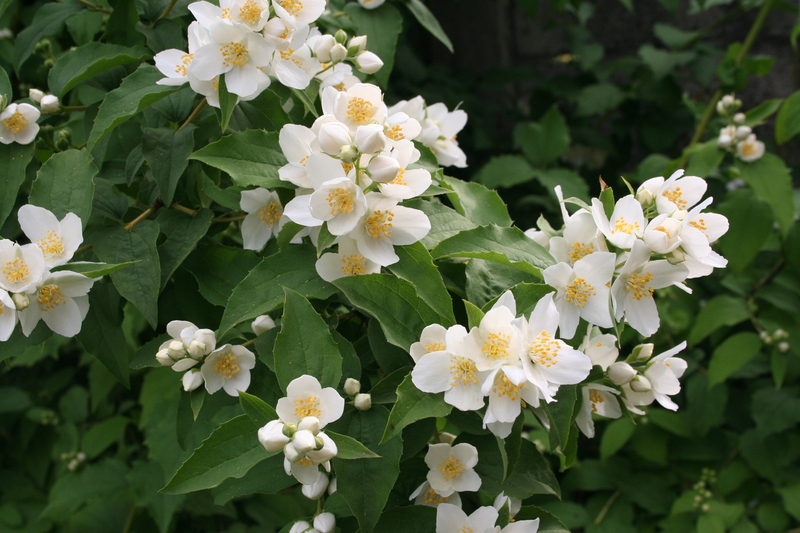 It was, regrettably, a little early for their other notable collection – flowering Cornus. We were guided around the woodland garden by the owner, Brigitte de La Rochefoucauld who, like her husband Bernard, speaks English beautifully. 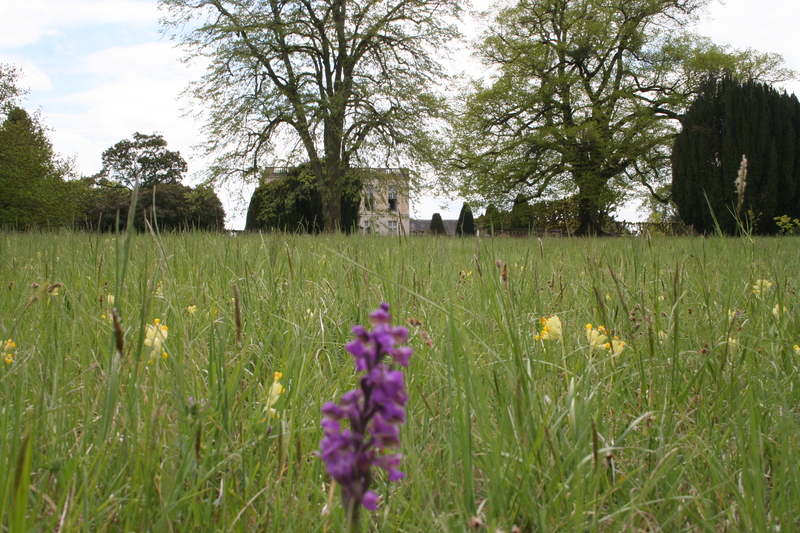 Theirs is a garden full of rarities and a wonderfully relaxing place to wander on a sunny day. Yet again, English landscapes come to mind easily here, perhaps Surrey this time, although a more French feature of clipped Box and Rose-laden pergolas is sited near the entrance and the house. 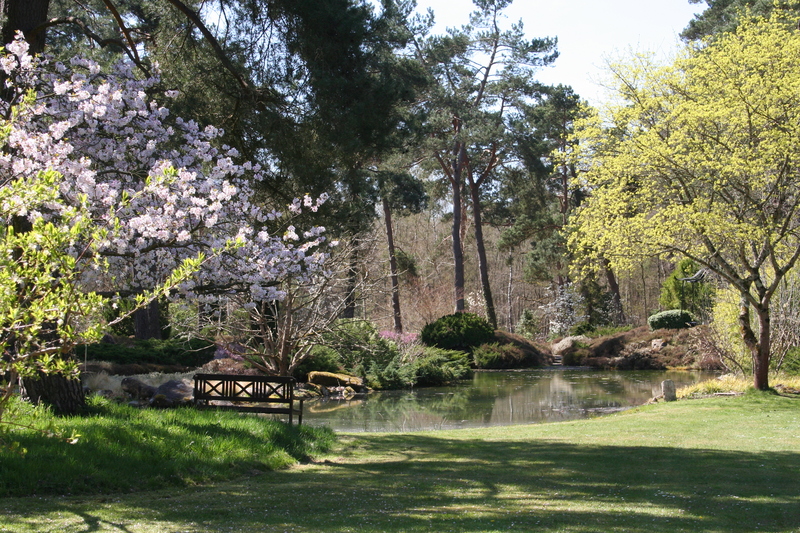 The garden which today looks so peaceful and natural was carved out of the forest by the owners, who were assisted on occasions (as at Apremont) by some notable personalities of the golden age of landscaping: Russel Page and Tobie Loup de Viane. The final recommendation was for Plessis Sasnières, which was hosting a visit by a coach load of garden designers from Russia when we arrived. The late season did not contribute to the visit but it was still a pleasure to stroll around the garden in the company of the family Labrador, who insisted I should throw a stick for him to chase all morning. I have seen pictures of the rich English herbaceous borders but we had to content ourselves with the Magnolias and the uncluttered design of this attractive landscape. Rooted in the French countryside it is nevertheless very English in tone and has been open to the public since 1996. 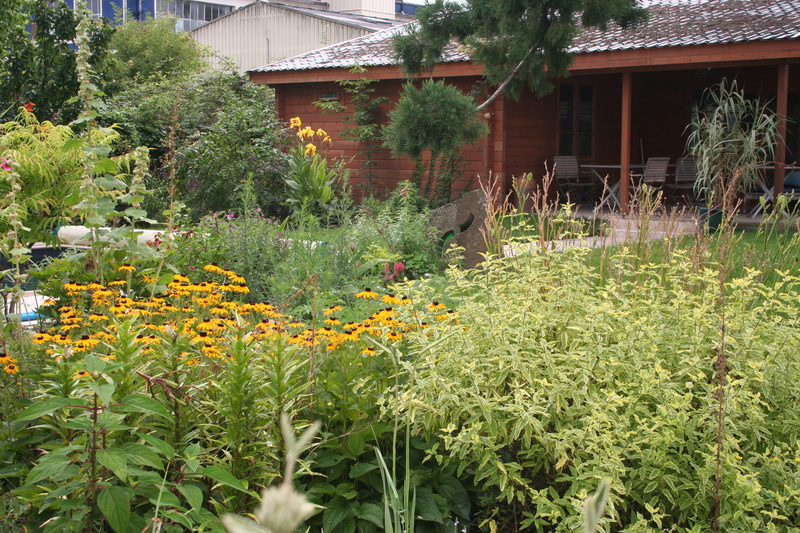 This was the last of the gardens in our program and at the end of the visit we drove back to Vierzon for the train to Paris and for my guest his flight back to Oman. After two weeks of study and touring we were sorry to see him go but pleased to have some time to recover before the next students arrive. 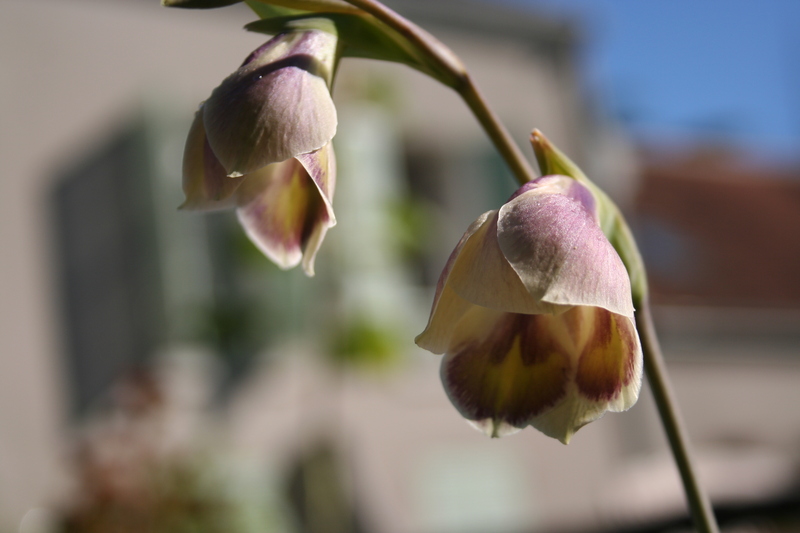 As spring takes hold of central France the season is confirmed by a flurry of garden and plant shows, not to mention all the local spring fairs and Easter events coming up at the end of the week. Of course I have chosen now, just when life is getting busy, to go down with a flu-like bug of some sort, which has put me to bed for one whole day and ruined my sense of humour for more than a week. A carpet of Daffodils at La Source, Orleans. There is no time to be ill so I have done my best to ignore it and last Friday attended a seminar with three dozen other gardeners and chateau owners at La Source, the marvellous public garden in the university district of Orleans. The subject of the day was colour theory and how it relates to the design of herbaceous and bedding plant displays. A couple of good speakers, one from parks and education and the other a plant producer, simplified a subject which is not always straightforward to explain and left the delegates eager to get to work producing new schemes for their respective towns and gardens. At La Source itself the Cherries were just starting to flower and there were huge areas of dwarf daffodils to admire. After another half day in bed to recover from my outing, we went to the chateau at Cheverny on Sunday for the first of the year’s plant fairs. The show is an annual charity event and well supported by both the public and the trade. As usual we bought a few plants, but not as many as I expected to. 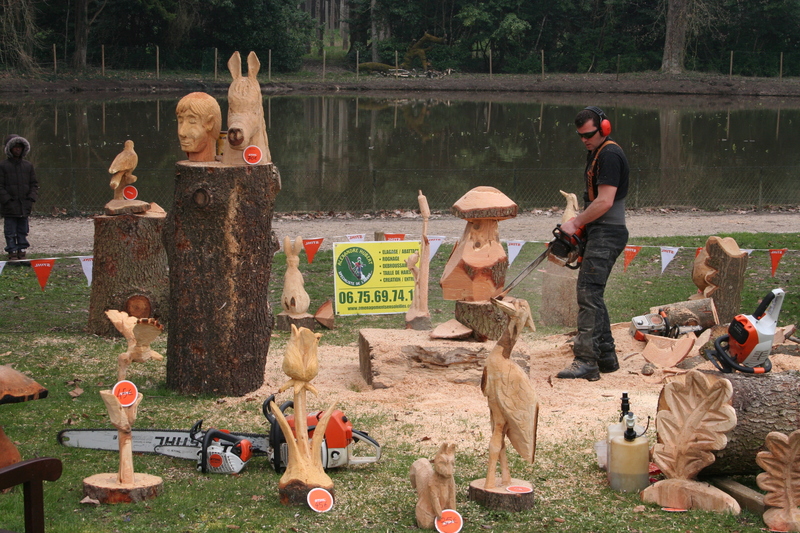 The tree surgeon we employed to care for our ancient Sequoias was on site demonstrating his skill with a chain saw, producing sculptures from huge pieces of wood, the waste from his previous weeks work maintaining trees in the park of the chateau. Next weekend is Easter, with events all over the region. We have been invited to more vineyard open days than we can possibly take in and the plant fair at chateau de la Bourdaisiere. Then there is the unmissable annual Poulain Donkey Fair and a host of other events all conspiring to keep me from working in the garden, where there is so much to do! 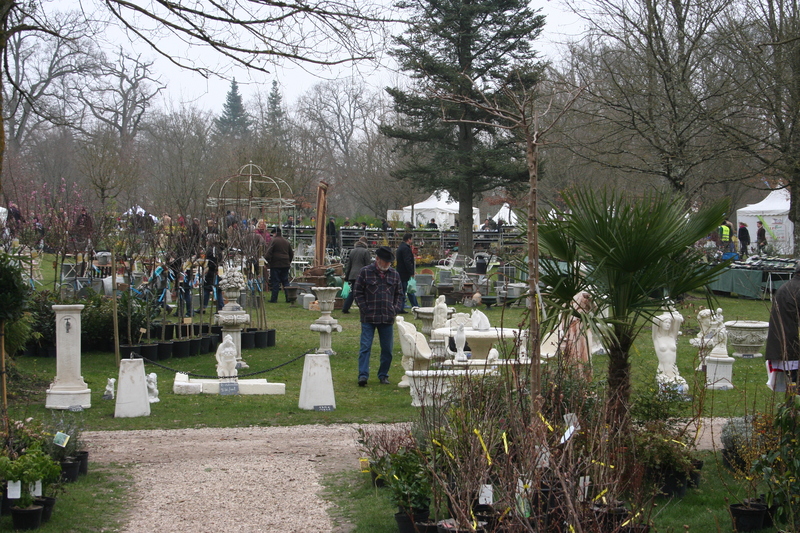 Yesterday we drove to Angers for the Salon du Végétal, the massive annual exhibition for the garden industry. Unlike many similar trade shows in the UK, plants are particularly strongly represented by a large proportion of the 600 exhibitors. Around a quarter of them where from outside France – 13 countries in all – but sadly UK nurserymen were very thin on the ground: I spotted just three – David Austin Roses, who had French staff on the stand and were clearly open for business, Fairweathers Nursery (for liners and Agapanthus) and Whetman Pinks, who are also very active in France. It’s a pity because France is a very large market for garden products and their retail prices are higher than in the UK. On the other hand there were 50 Spanish exhibitors, 34 came from Belgium, with Italy and Holland each sending around 30. Around 15,000 trade buyers from 13 countries attend the three day event but again, Brits were remarkably absent ( I was told by the staff on one stand that they had chatted to Paul Rochford but disappointingly we did not meet up ). Still, I enjoyed myself looking at new plants on the market and making contact with a number of useful potential suppliers of plants and landscape materials. The highlight of my plant discoveries was found on the stand of Anthura, a Dutch company specialising in Phalaenopsis orchids, Anthuriums and hardy Cypripedium orchids. I had spotted Garden Orchids on their stand last year, but now they have really got their act together with superb packaging, I am sure they will be a best seller Europe-wide. 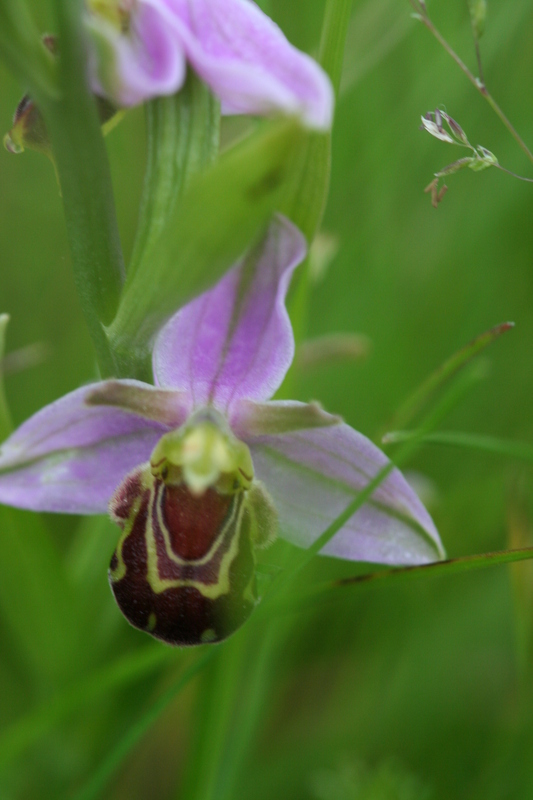 Lady Slipper Orchid – Cypripedium calceolus – is one of Britain’s rarest flowers with only a couple of known clumps. 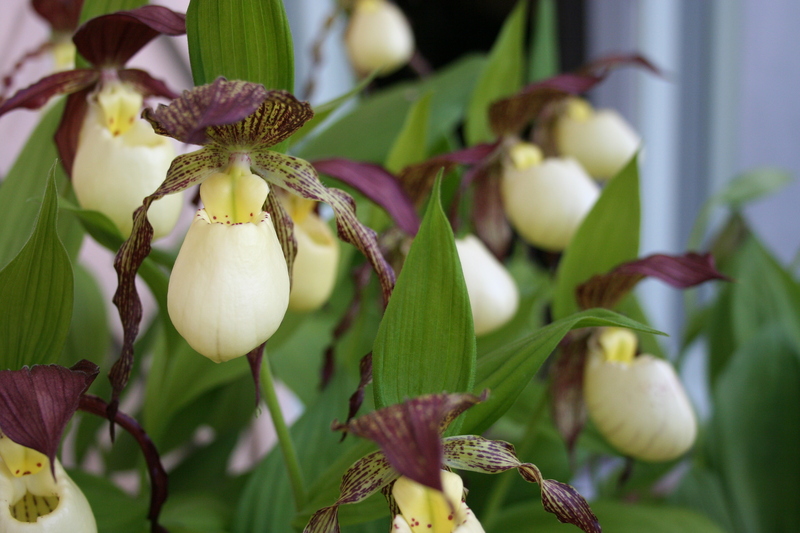 I am now the proud owner of a number of plants of Cypripedium kentuckiense or Kentucky Lady’s Slipper, a less rare but stunningly beautiful American species and I shall be reporting on their progress throughout the season. Nights here in central France are down to -3°C at the moment, with clear, sunny days reaching around 13°C, so although they are said to be hardy down to -20°C I am taking no chances: for the time being they are staying under protection in their pots. 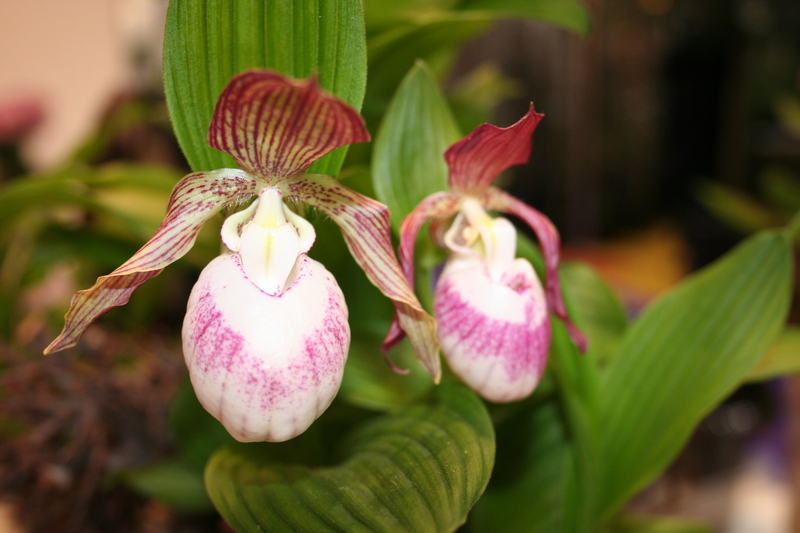 The company offers five species of Slipper Orchid and I was told they have another 100,000 Kentucky back at the nursery – more than are said to exist in the wild. Another intriguing stand was that of Plant Planet. Their idea is to take plants threatened with extinction in the wild and popularise them to ensure their survival. To this end they use micropropagation techniques to create large numbers of plants, and amusing marketing campaigns to get them known by the widest possible clientele. 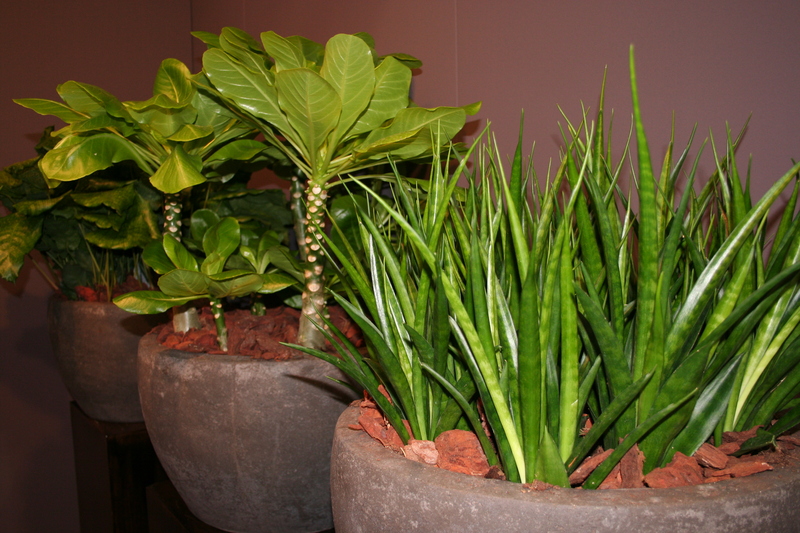 Their range includes Red List plants like the Hawaiian Palm, Brighamia insignis, Gloxinia-like Sinningia leucotrichia (named Puppy Ears for its silky foliage), Euphotbia milii ‘Lucky Eight’ , Calathea ‘Network’ (a part which apparently thrives in the darkest corners of a house) and Sansevieria ‘Friends’, voted Student Plant of the Year for its indestructability.